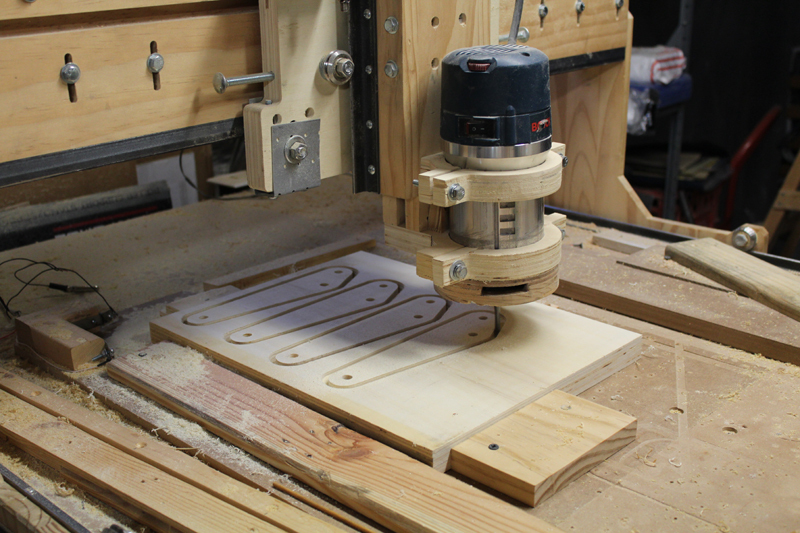 To make really nice projects, you need some good woodworking machines. Of course, money is a big problem here. 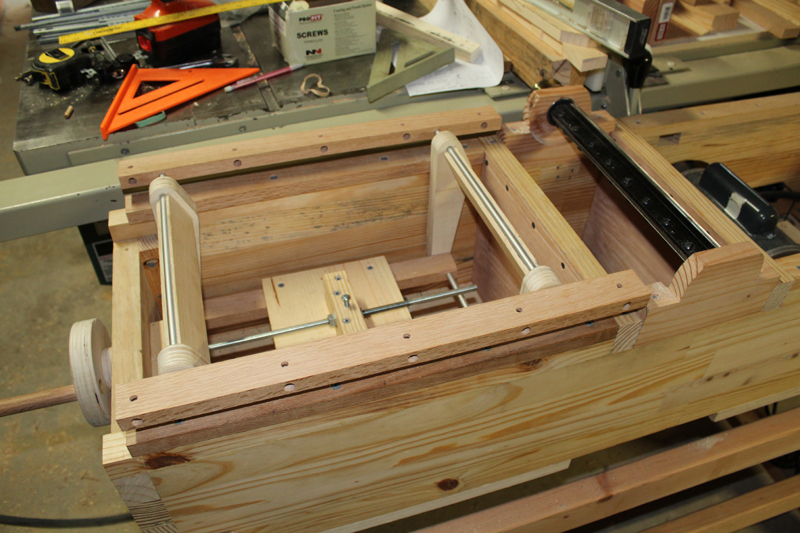 There are folks who make woodworking machines and put their plans and pictures online. 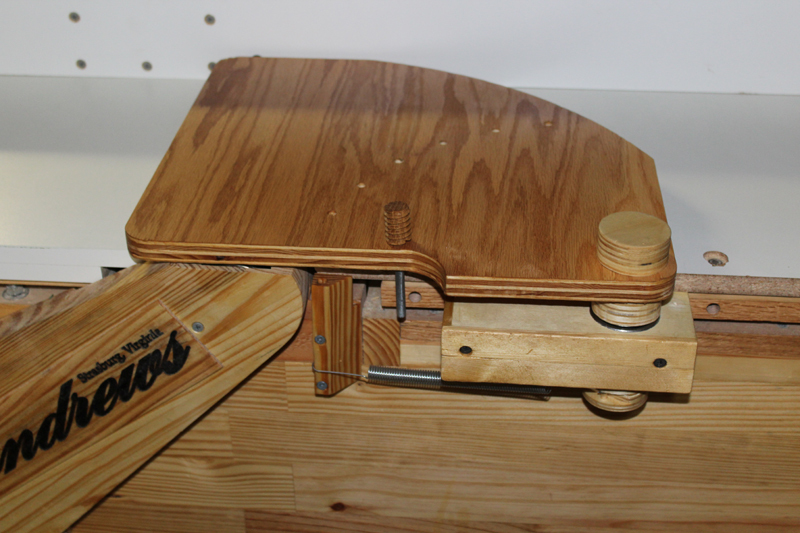 I took a look at this website: http://www.woodgears.ca/tools.html and decided to build the one major tool I was missing - in this case a really wide jointer. 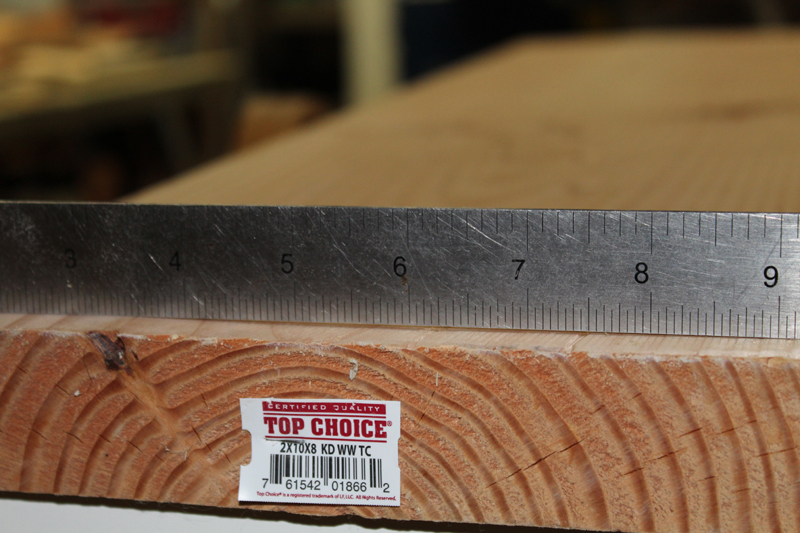 A 12 inch jointer costs $1500-3000 in the lower price range. This one costs less than $500! I started with some good pallet wood my neighbor had given me. 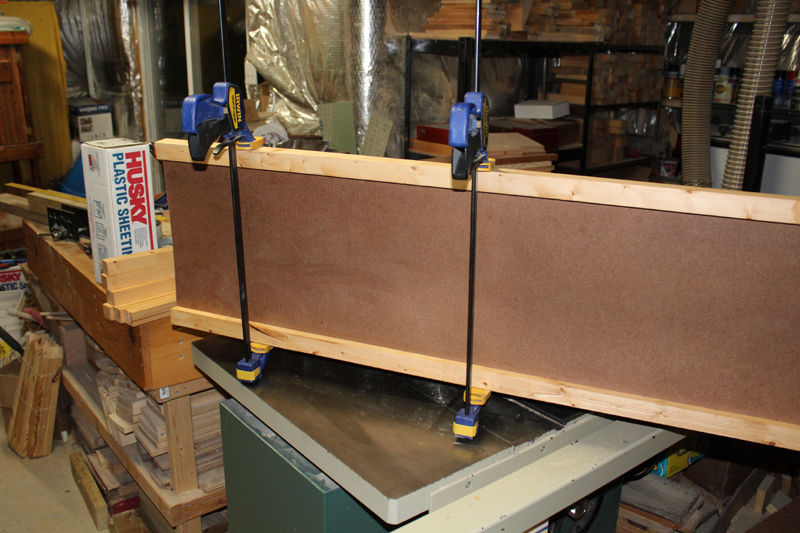 After truing it up, I glued it into panels to make the sides of the jointer. 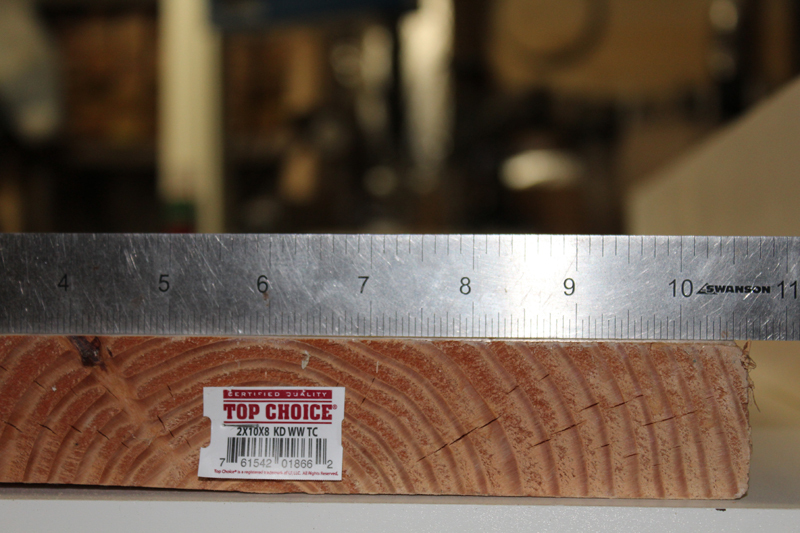 A few passes through my planer and they were nice and straight. 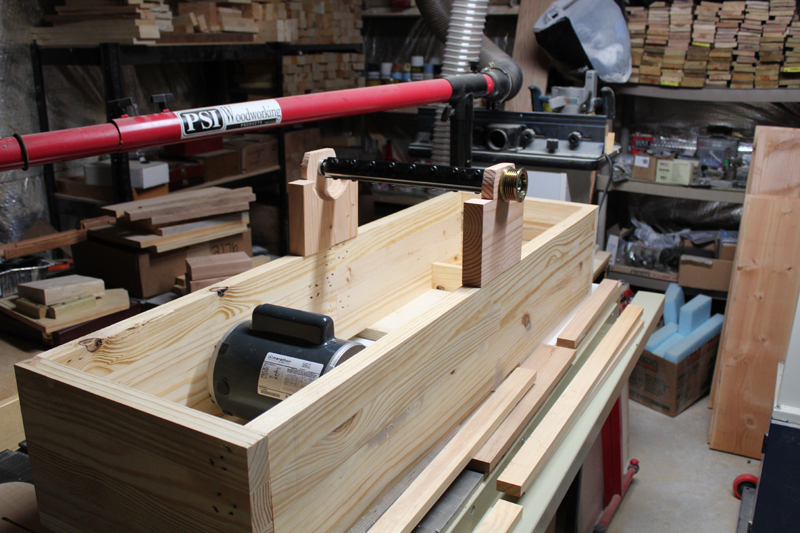 I purchased a Dewalt planer head w/ bearings and two sets of knives off of ebay for $78 for use as the cutter head. The knife sets alone cost $50 each so that was a really good deal. 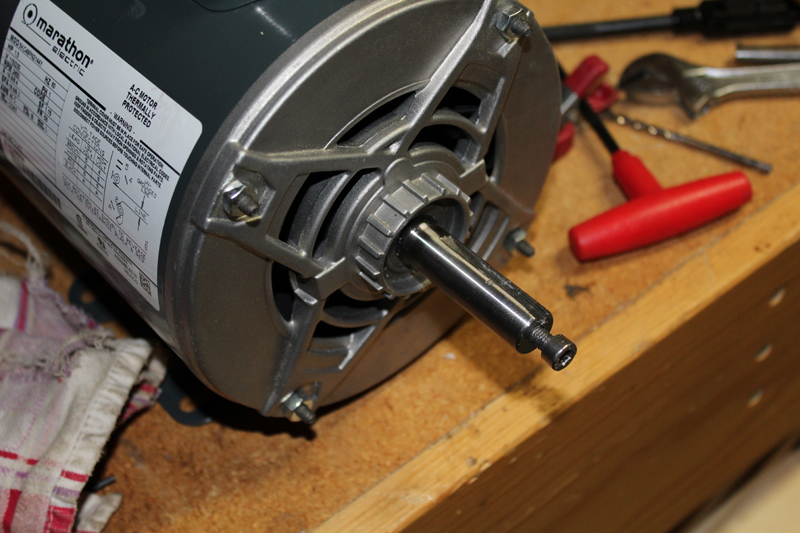 I also purchased a new 1.5 HP Marathon Motor from Surplus Center at a great price. 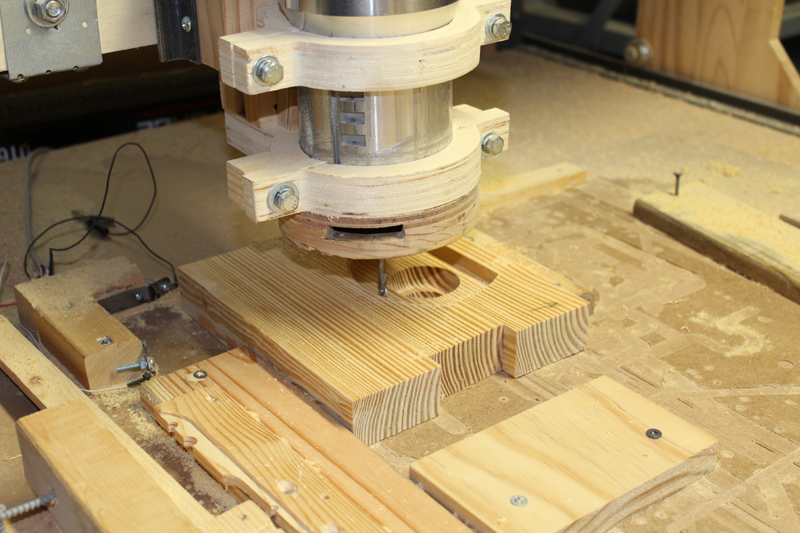 The last image is of the cutter head bearing block being created on my CNC machine. 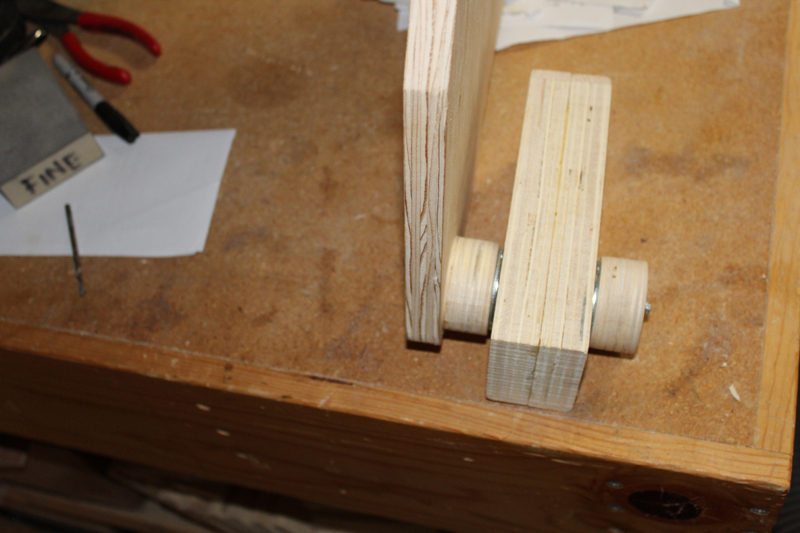 The finished bearing block. I bought two serpentine belt type automotive pulleys and fashioned keyways in them. The smaller one fit on the cutter head perfectly and made a nice crush fit against the bearing when the nut was tightened. 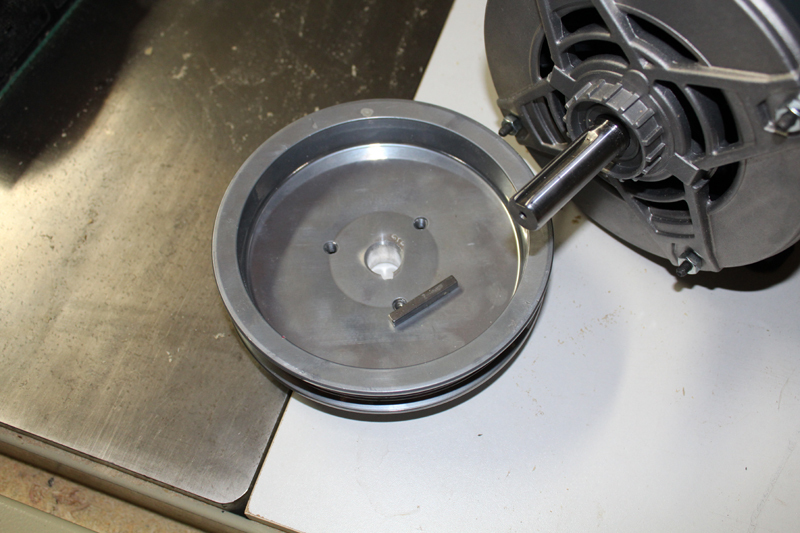 I had to drill the shaft of the motor to take a bolt for the retaining plate for the larger pulley. 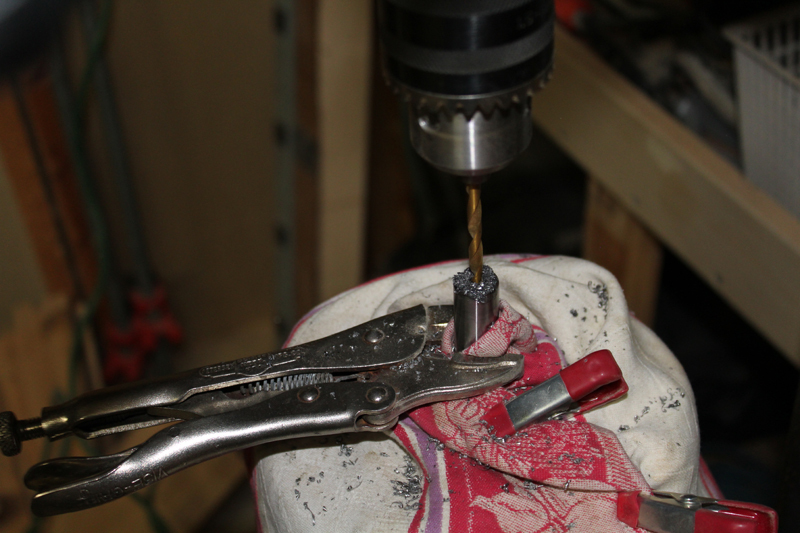 After drilling, I tapped the hole to take the retaining bolt. 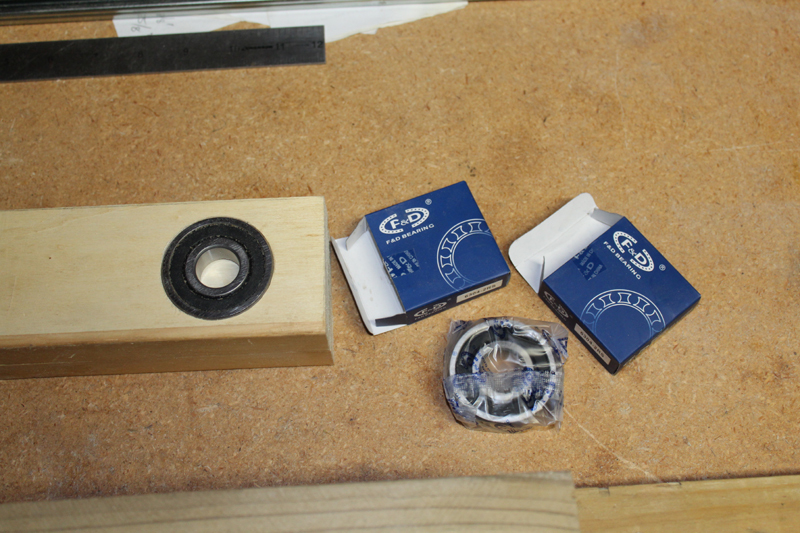 A check of the clearance on the bearing block was good. 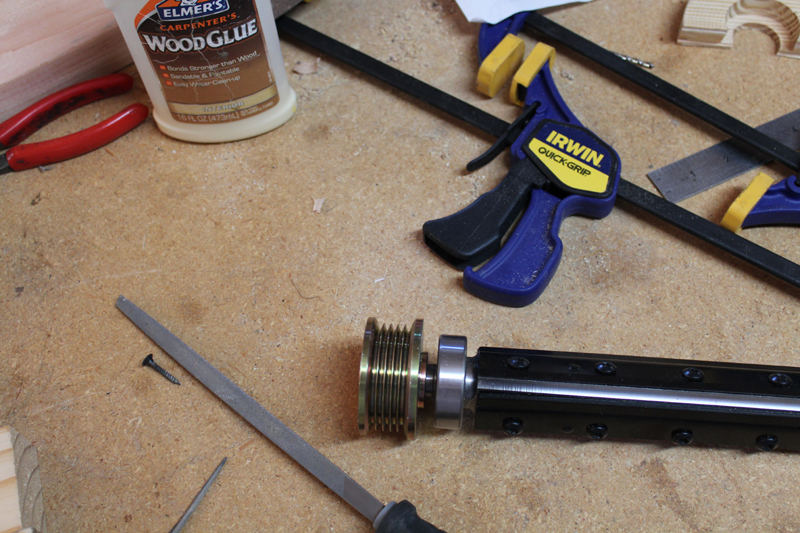 I then carefully mocked up the assembly to check component placement. 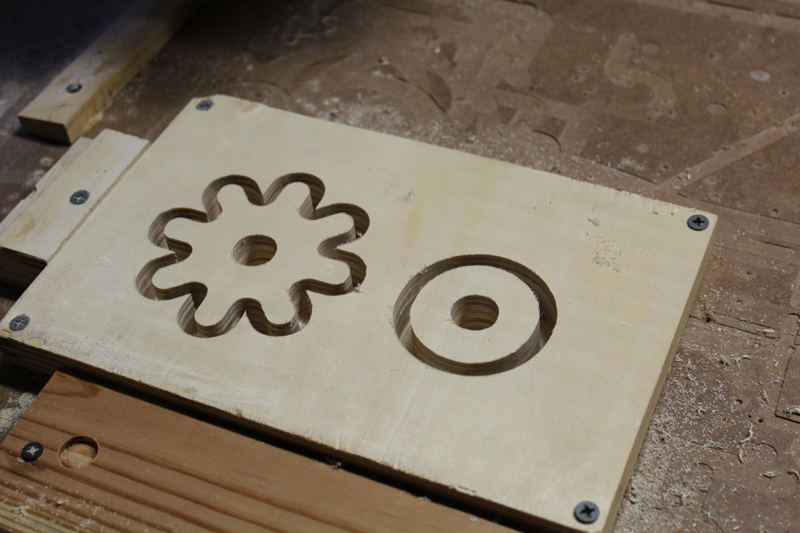 Then I took the front panel, put it on the CNC machine and cut the on/off switch and pulley holes. 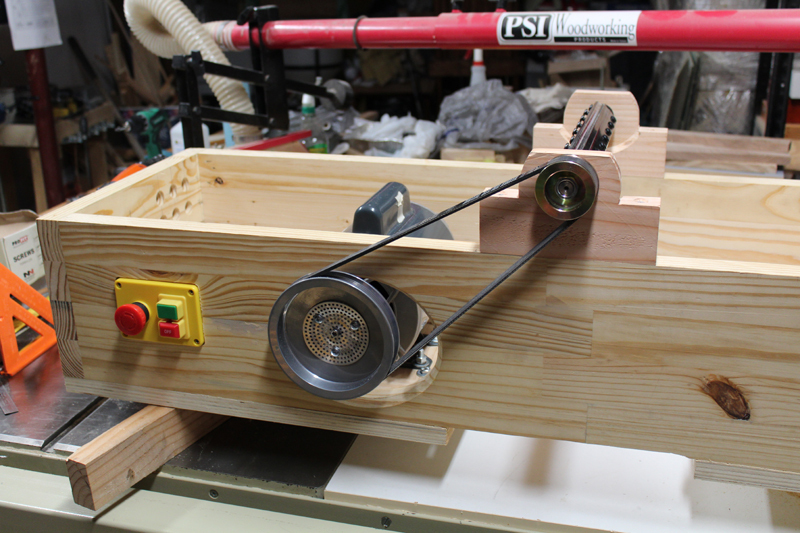 Then I made the motor belt tensioner using the Beall Wood Threader system. 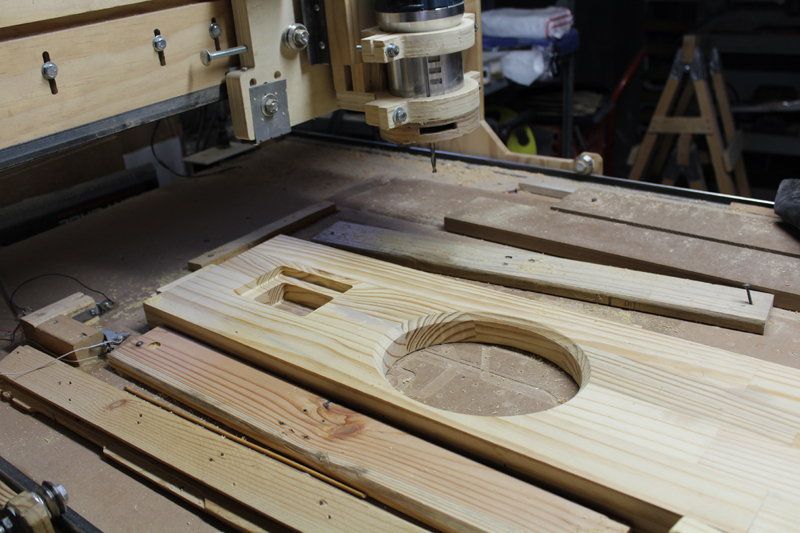 I cut out the adjuster knob and base using the CNC machine. Whoops, I got the dimensions wrong and got the wrong size belt. The parts store was cool and let me swap it for the right sized one. 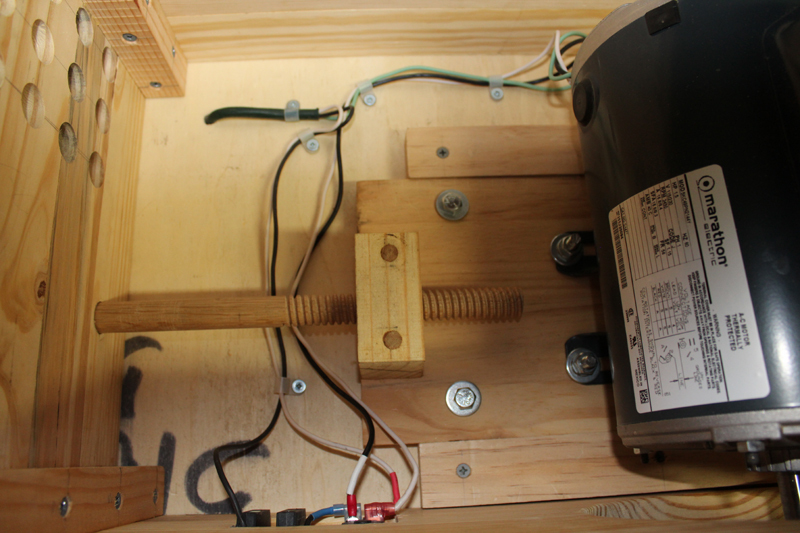 The motor mounting and wiring for the switch are shown. The pad the motor is on is locked in place after adjustment by tightening four mounting bolts through the pad out the bottom of the machine. 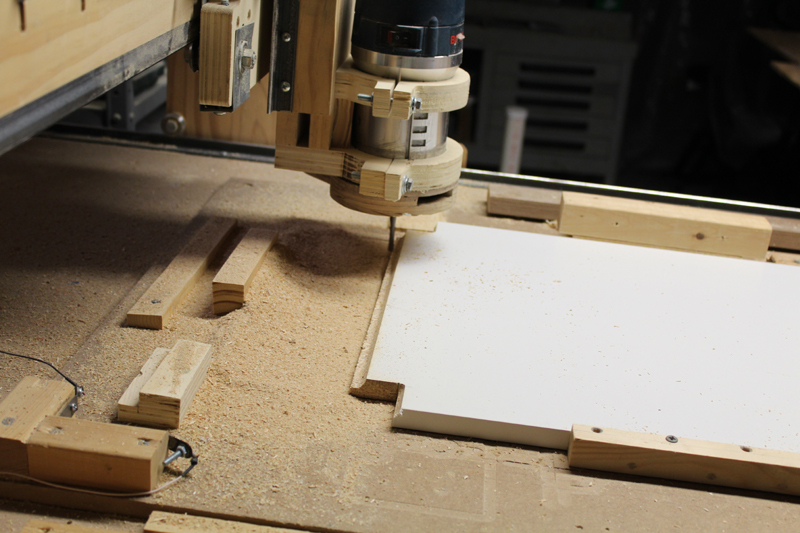 The last picture is the CNC machine cutting the parallelogram arms for the infeed table adjusting mechanism. 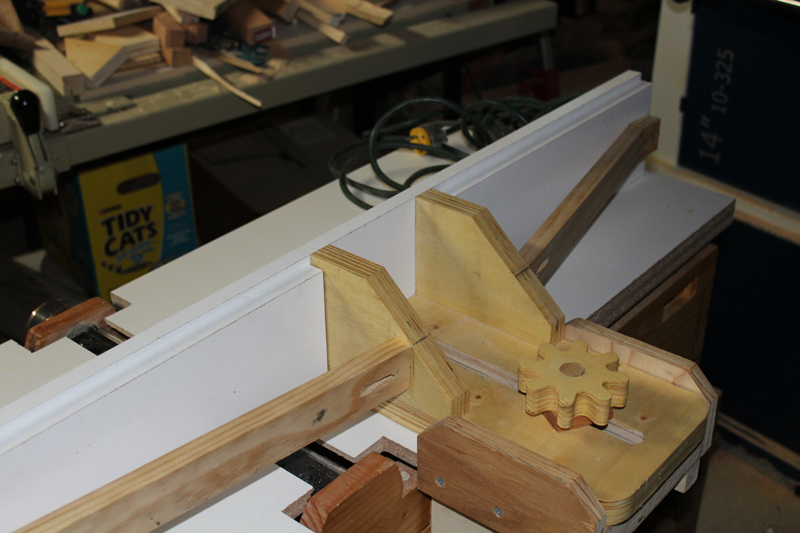 I began building out the rest of the interior of the machine. Cross braces at the center where the box is weakest. 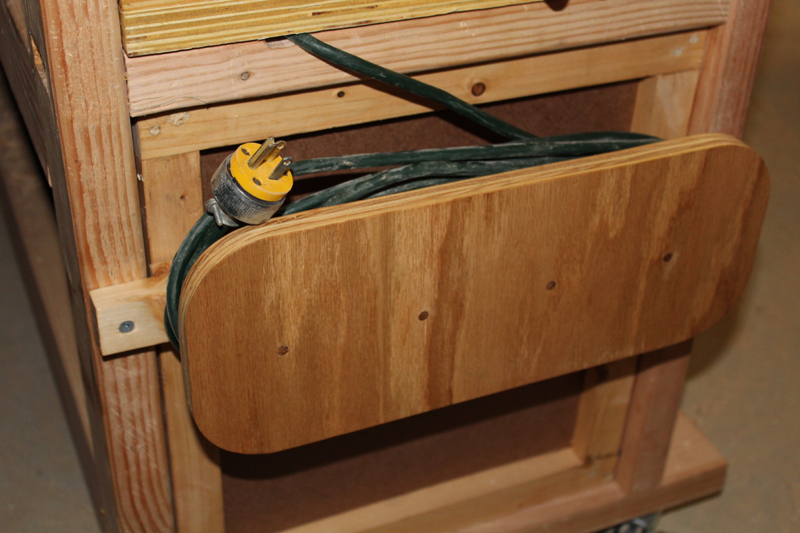 The dust shields to direct shavings downward are attached to the cross braces later. 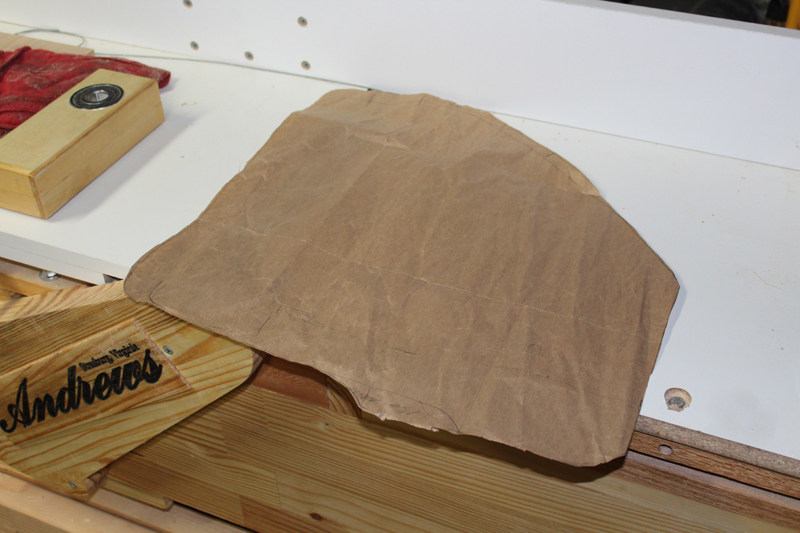 The parallelogram is pictured next. 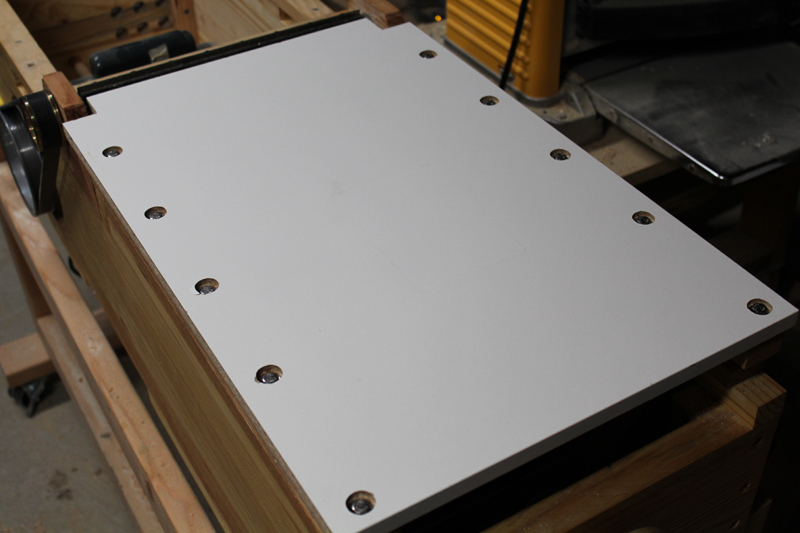 It is built with aluminum rods that are pressed into the mounting strips. 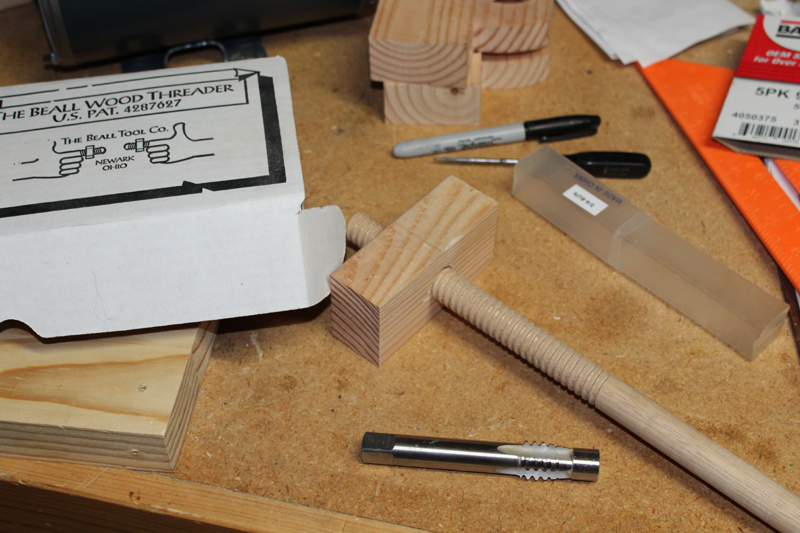 The crossbars have half round grooves cut into them and the rods fit into them which provides even more stability. 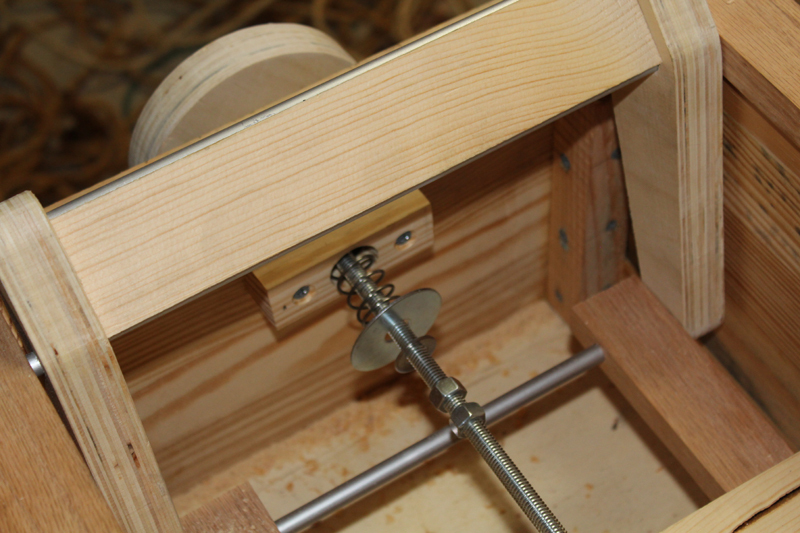 The adjusting mechanism can also be seen here. 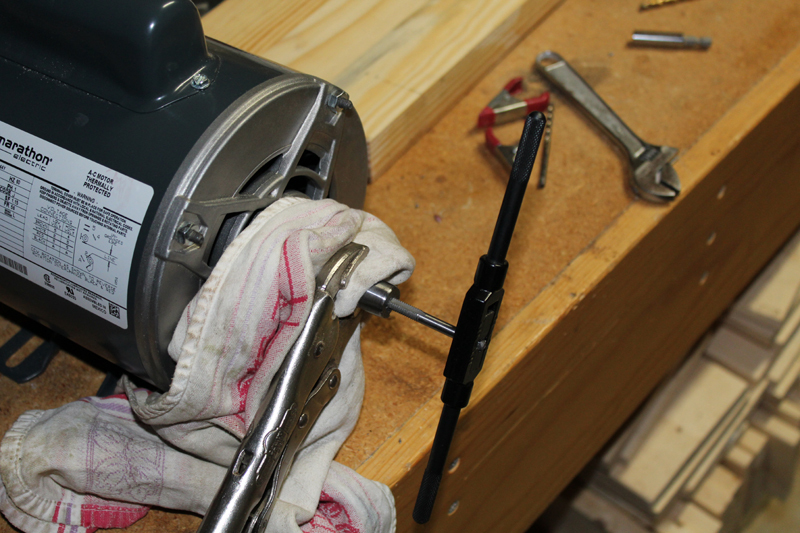 The bolts are tightned down to compress the spring into the hole and lock nut tighted providing a spring tensioning. 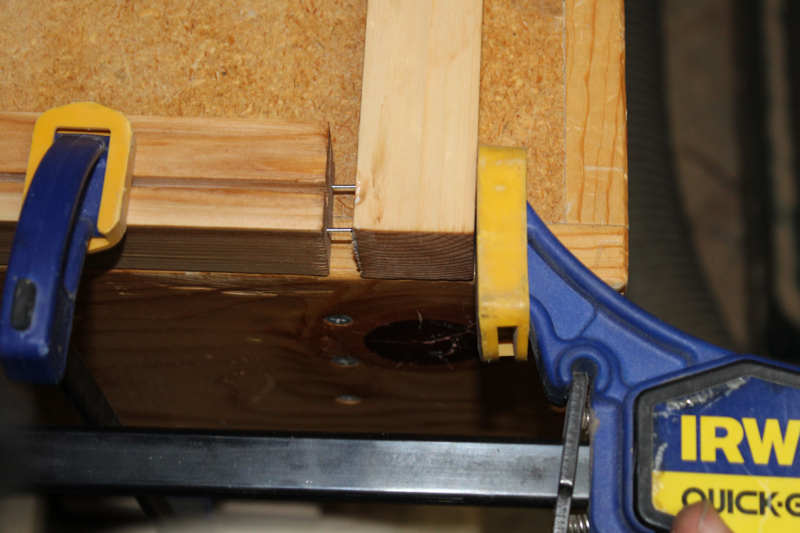 The last pic is the fence adjusting bracket. 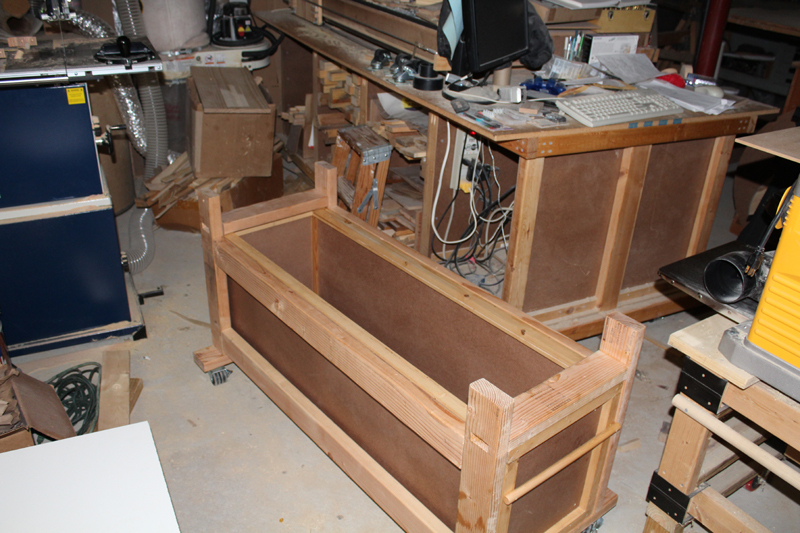 Here the infeed and outfeed tables are being made. 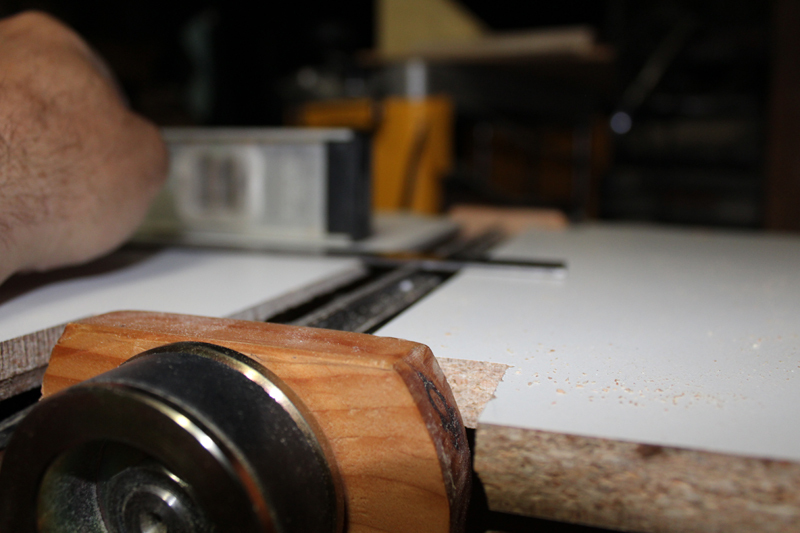 The edge is scalloped to allow it to sit close to the cutting blades without hitting. 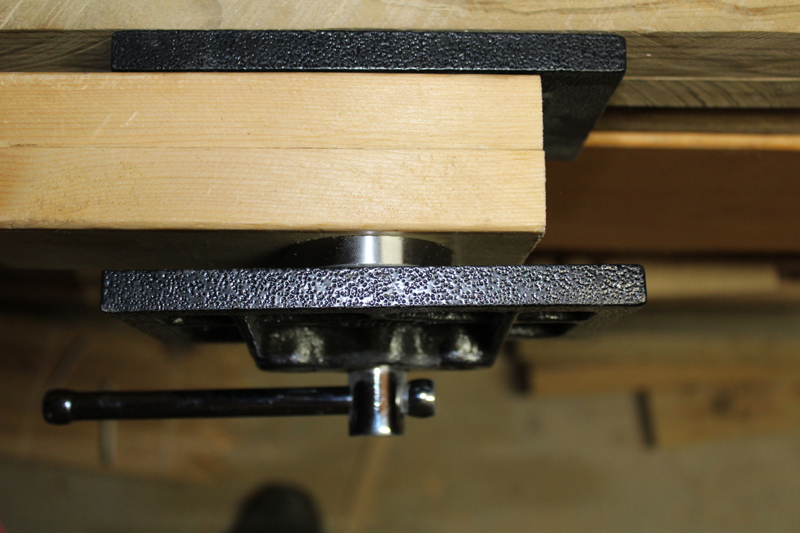 The infeed table is bolted to the parallelogram using barrel nuts The outfeed table uses the upper bolt to raise and lower the table and the lower nut then locks it in place. 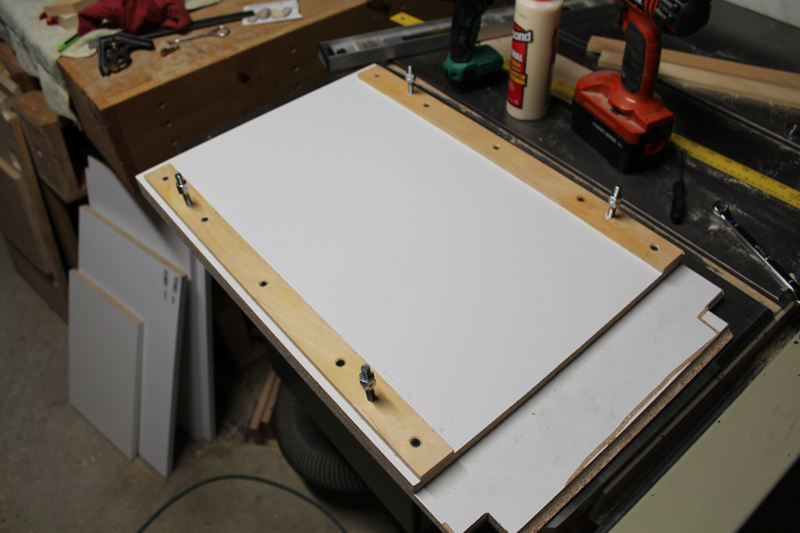 Finally, I can adjust the height of the outfeed table. 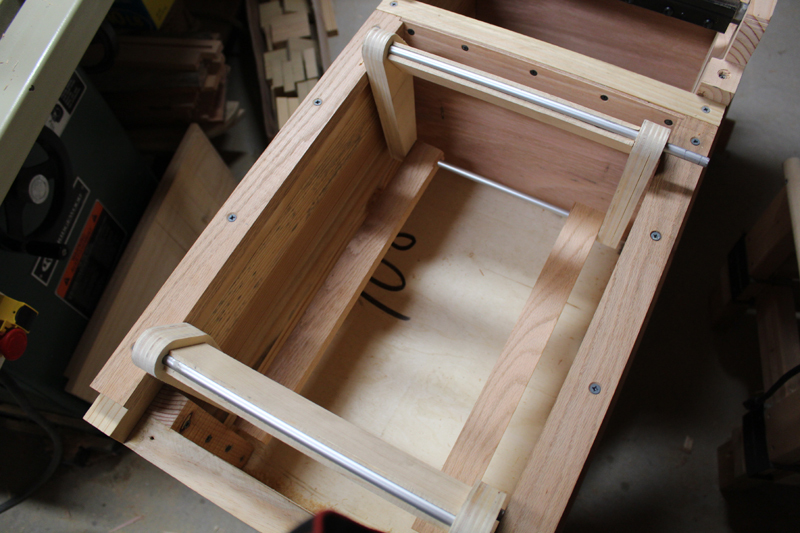 Mortise and tenon frame with the shavings box installed. 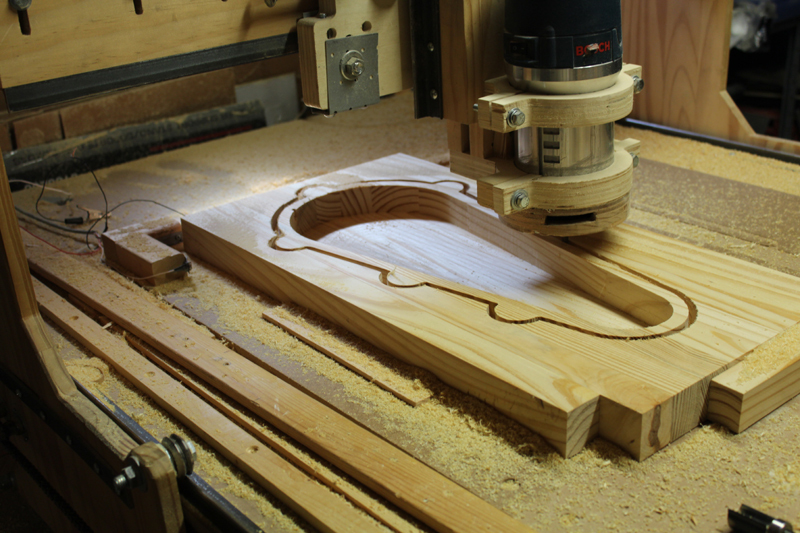 The CNC machine was set to engraving the Andrews brand name on the belt cover. 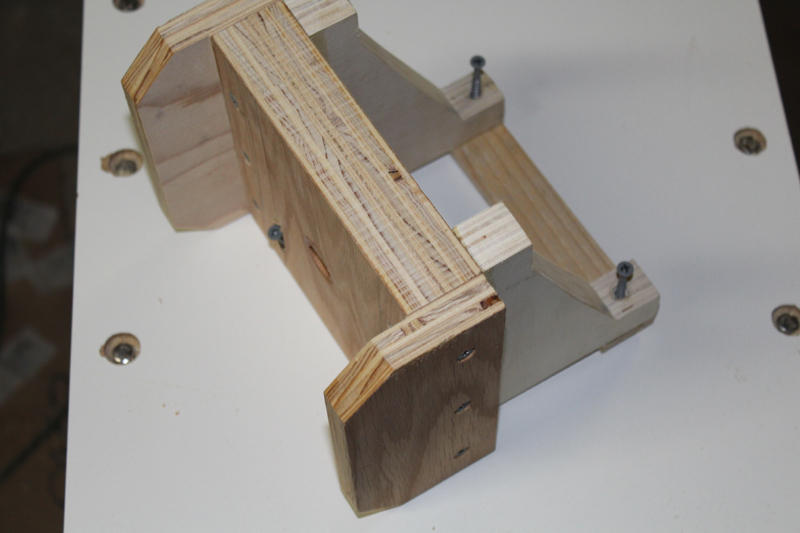 Next was creating the fence mounting bracket. The completed fence was then installed on the machine. 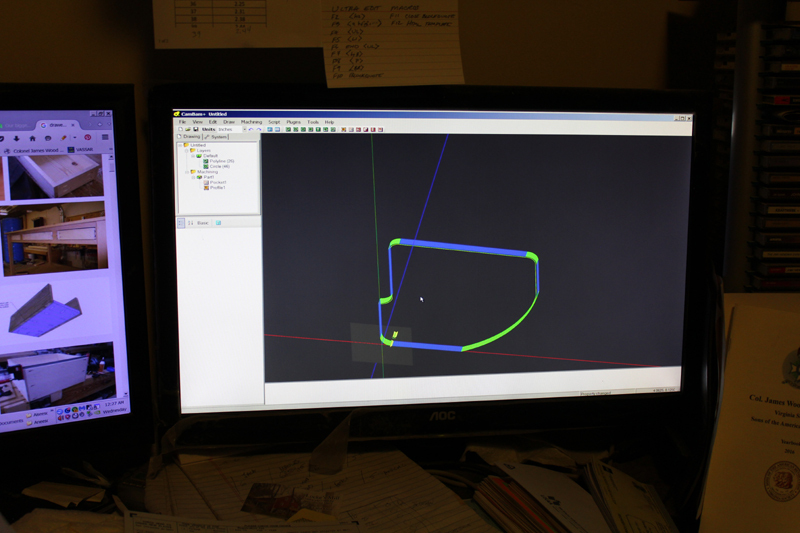 I then started on the bearing block for the cutter head safety assembly. 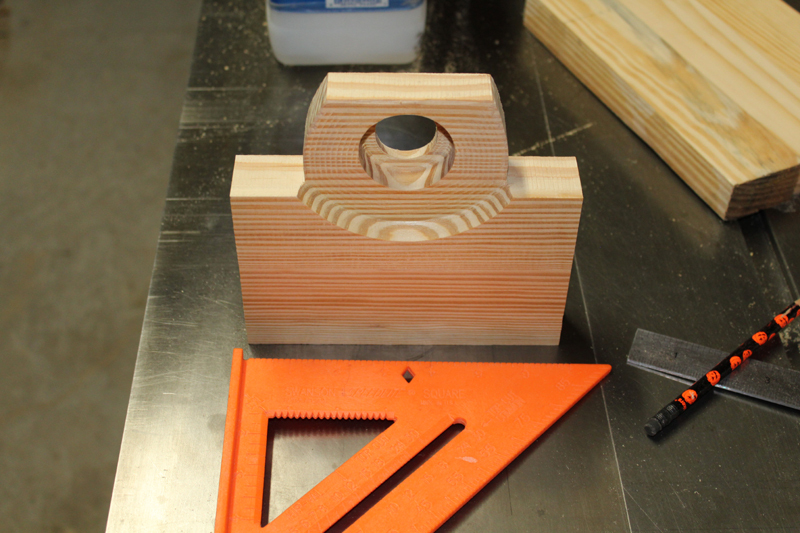 The bearings are a press fit into the mounting block. 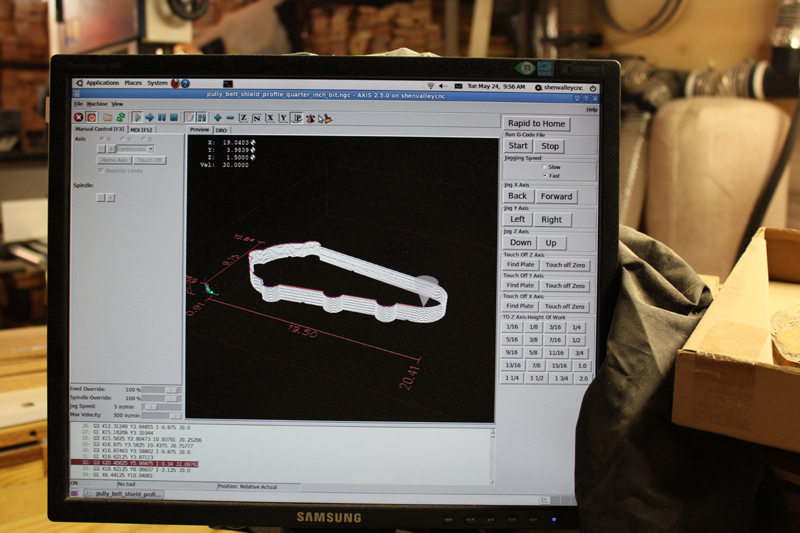 I made a template for the safety cover and then designed and cut it out on the CNC machine. I fashioned some pucks to create a pivoting column. 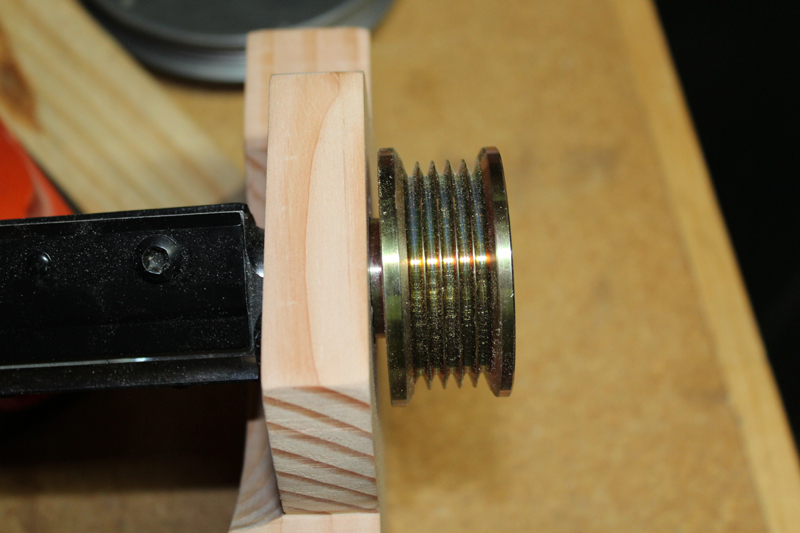 The washer rides on one of the bearing surfaces. 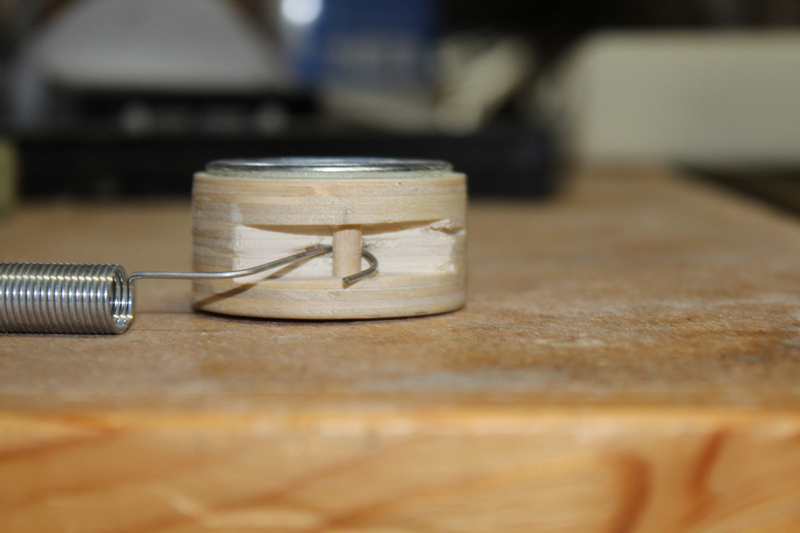 I also made a neat catch for the spring to hook on. 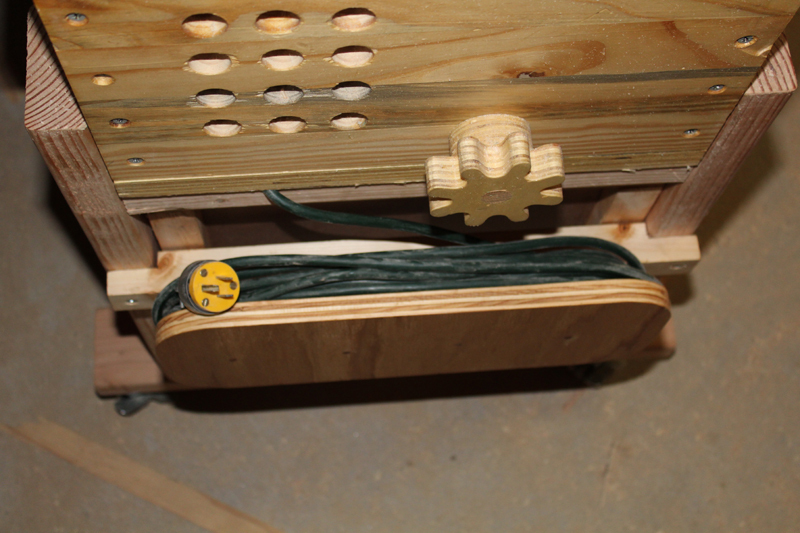 The finished safety cover assembly with bearings on both sides of the mounting block. 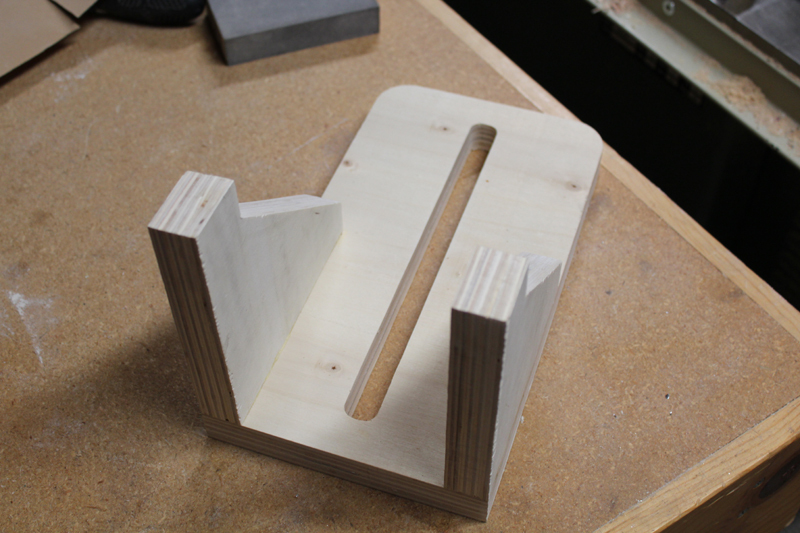 The mounted finished assembly. 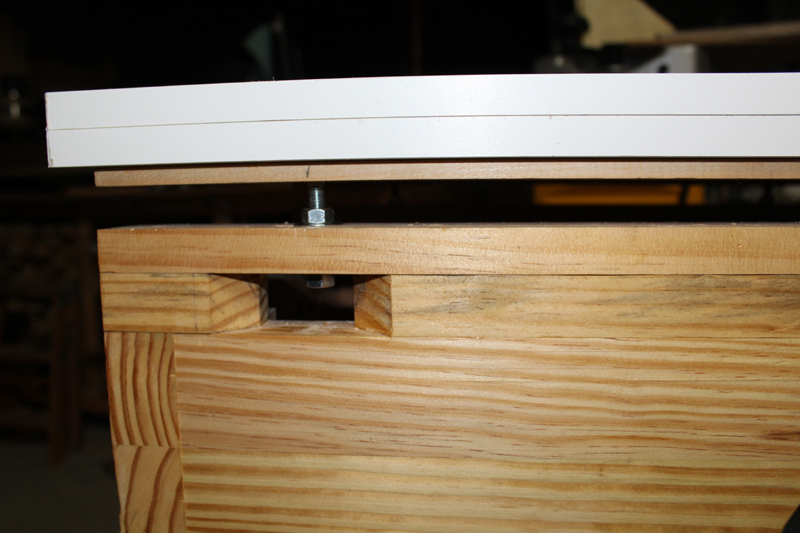 Note the peg is placed through one of the adjustment holes and then into the top of the triangular shaped spring mount which then holds the cover open the desired amount. Next came the cable holder. The motor vent holes and tensioner knob are seen on the end of the unit. 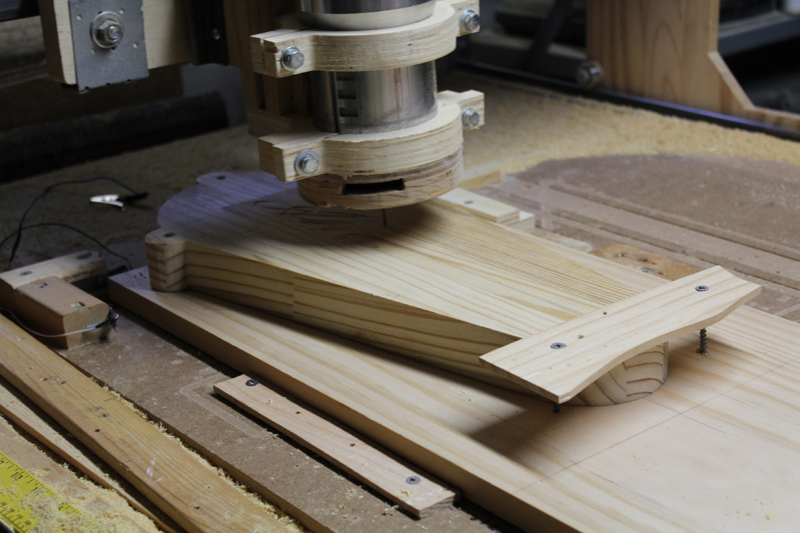 Finally, a board that is cupped is run over the jointer. 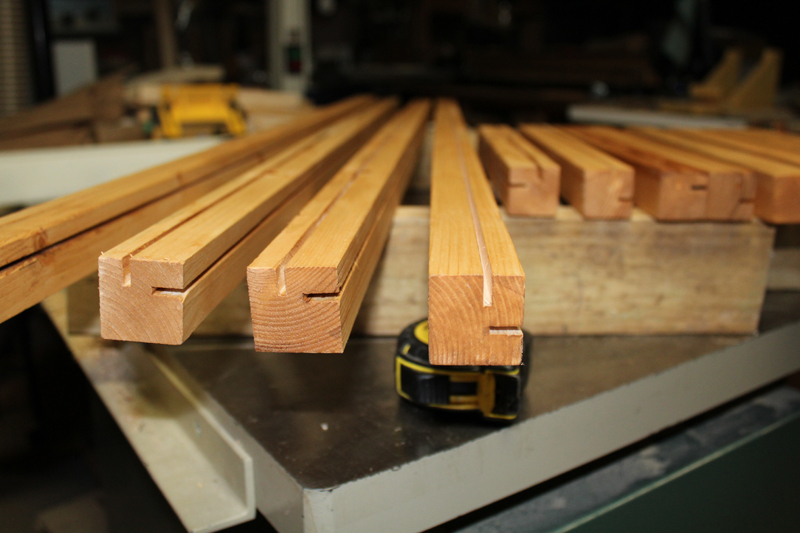 It took three passes, removing the minimum amount to level it out, ready for the planer. 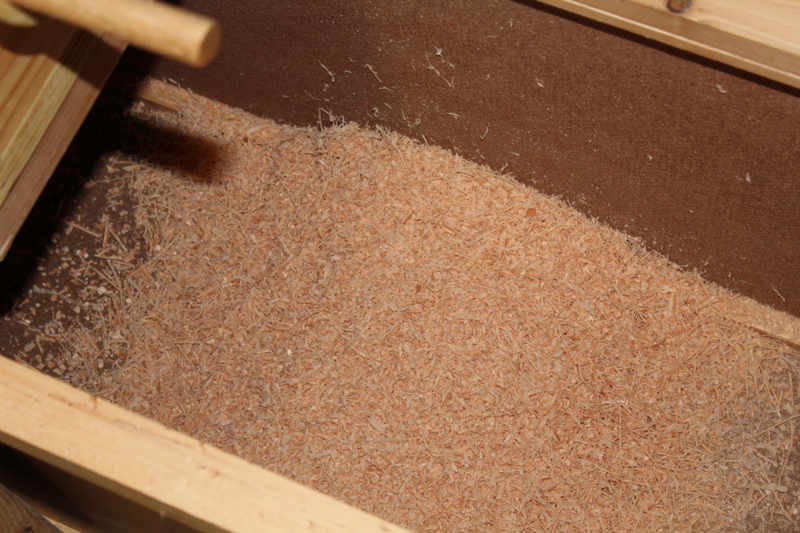 A nice pile of light shavings collected in the box.